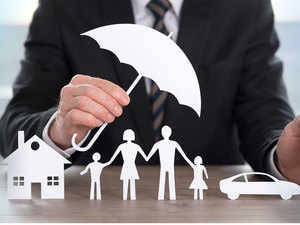 Besides premium and settlement ratios, there are several other metrics you need to consider to pick the right insurer. You need to opt for an insurer with lower customer complaints, faster claim settlements and higher customer retention. The ratio reflects the insurer’s customer retention record. The higher the persistency ratio, the better it is, as it indicates that more policyholders are renewing their policies, implying higher levels of trust. *Top five life insurers by market share (first-year premium) for individual, regular premium policies in January 2019. Lower the claim and non-claim-related complaints, the better it is. Though it should not be the sole determinant, it reveals insurers’ history of handling complaints. Source: Respective life insurers’ public disclosures as on 31 December 2018. An insurer should settle at least 80% of the claims within 30 days of receiving the intimation. Choosing a health insurance policy requires deeper analysis than just settling for a plan that offers the lowest premiums at the outset. When you buy a health insurance policy, you will have to keep renewing it. 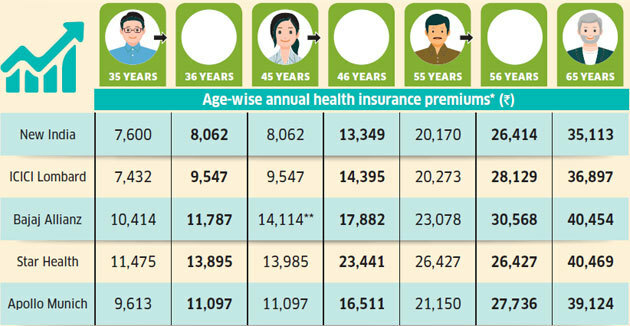 Therefore, check the next 10 years’ premiums while comparing policies as they change with age. Insurers are required to maintain a minimum solvency ratio of 150% or 1.5-times the solvency margin. A higher ratio indicates better financial strength and the company’s ability to pay its liabilities*. *Solvency ratio, however, should not be seen in isolation.For example, LIC’s solvency ratio is 1.58 times, but this does not mean the company faces a financial crunch. Solvency ratios as on 31 December 2018. Note: The selected insurers are the top PSU insurers, private general insurers and standalone health insurers by retail health insurance premium collected up to December 2018. Source: insurers’ websites, Irdai Handbook of Statistics 2017-18 & General Insurance Council.